Full fat soft mould ripened cheese made from pasteurised cow's milk. 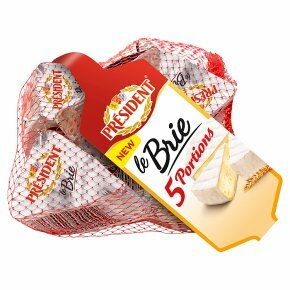 Soft and creamy Président Brie packaged into five individually wrapped mini wedges. Ideal with crackers for a quick snack or perfect to pop into lunch boxes.